Oriental rugs are widely used to make a house interior more attractive as well as enhance the aesthetic appeal of workplaces. However, it’s not easy to keep them clean. This is where the Wool Rug Cleaning Company comes into the picture! 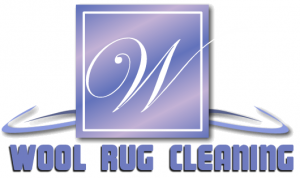 We are the top rug cleaning service in Florida. We understand that oriental rugs are a piece of art and a fundamental part of any interior space. Washing them with strong chemical products only ruin the fabric. If you’re looking for a place where you can get your expensive rugs washed by hand with environment-friendly cleaning products, then you’re at the right place. Our team consists of professionals with years of experience. Once you place your order, we pick up your rugs from your doorstep after inspecting them. A careful inspection helps us make sure that the rug is in good condition and doesn’t need any repair before cleaning. At the premises, the dirty rugs are washed with gentle cleaning products to eliminate unpleasant smell and stains. We rinse them with clear water and dry them. When we are satisfied that the Oriental rug is perfectly clean and is up to your expectations, we deliver it to your desired location. Some people make the mistake of washing Oriental rugs on their own at home. If you’re one of them, be aware that this procedure may damage the rug and you’ll end up replacing it. So, why not avoid this hassle and contact us to make your work easier and save your valuable time? Wool Rug Cleaning offers Rug Cleaning services for almost each and every kind of rug. We have a myriad of satisfied customers and their positive reviews are a testament to our quality service. So, what are you waiting for? Get in touch with our team by filling up the Contact form or contacting us at 1866-976-8747 to know more about Wool Rug Cleaning and place your order with us. Once a customer always a customer is the aim of Wool Rug Cleaning. With decades of outclass services, Wool Rug Cleaning excels in both cleaning and repairing of rugs and carpets like no other.